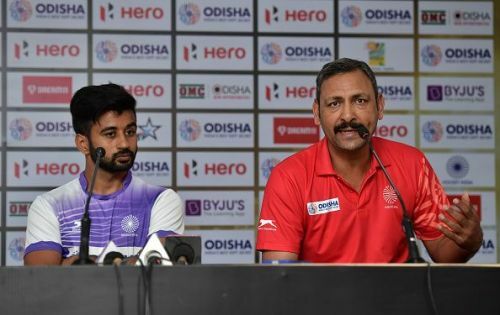 Bhubaneswar is set to host the 14th edition of the Men’s Hockey World Cup which will commence on 28 November 2018, where the hosts India will lock horns with South Africa in the opening encounter of the tournament along with Belgium and Canada's match. Sixteen teams will be participating in this tournament of hockey which include the defending champions Australia, Olympic champions Argentina and the most successful team of this tournament, Pakistan. The event will take place for 19 days in the beautiful city of Bhubaneswar in Odisha and the Odisha government has already declared a holiday for schools and other educational institutions for the opening day of the event, i.e., November 28. Where will it be played: The tournament will take place at the iconic Kalinga Hockey Stadium in Bhubaneswar, Odisha. Where to watch it LIVE on TV: The tournament will be telecast live on Star Sports Network and Doordarshan. Where to watch it LIVE Online: The tournament will be streamed live on the Hotstar App. How many countries are participating in it: 16 Countries -- India, Argentina, Australia, Belgium, Germany, Netherlands, England, Spain, Pakistan, New Zealand, France, China, South Africa, Malaysia, Canada and Ireland.